Doug serves as Chief US Equity Officer, bringing more than 20 years of investment experience to the equity team. In addition, he serves on the firm's Operating Committee. 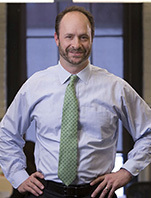 Prior to launching RiverFront, Doug served as Managing Director and Chief Equity Strategist at Wachovia Securities, where he was responsible for all equity advice of the firm. He led a team of talented and experienced portfolio managers and strategists, whose goal was to provide independent and sound equity recommendations. The work of his team included actively managed portfolios, weekly investment pieces and the regular monitoring of widely held positions of the firm's clients. Doug is also a regular guest on the financial news channels (CNBC, Bloomberg) and is frequently quoted in the financial press. The Science: With four children, two dogs, two chinchillas and several goldfish, the Sandler household is an everyday study of chaos theory. Doug looks forward to returning to the relative sanity of the equity markets each and every weekday morning.